The well-being of people in their 60s increases as they get older, a national survey has revealed. This increase in well-being is despite many people in their 60s living with at least one chronic disease, such as arthritis, diabetes or hypertension. In the survey, participants were asked to rate how they felt in their early 60s and then asked again aged 68 and 69. The survey was tracking how relaxed, cheerful, confident and useful they were feeling during these ages. The Medical Research Council (MRC) survey has been tracking and recording the health and well-being of nearly 2,000 people since birth. When the responses of the participants aged 60 to 64 were compared to how they were feeling later in the decade, the survey found there was an overall improvement in all aspects of well-being. These findings mirror the results of previous studies, which found that people in their 60s and 70s were happier than those in their 50s. A recent UK survey also found that people aged between 65 and 79 were the happiest, most content age group, while adults aged 45 to 59 were reported to be the least satisfied with life. Programme leader for the MRC’s unit for lifelong health and aging at University College London, Dr Mai Stafford said how it was unclear why those in their 60s had increased well-being compared to younger adults. 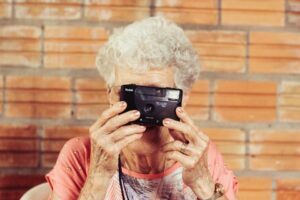 “We found that one in five people experienced a substantial increase in well-being in later life, although we also found a smaller group who experienced a decline,” she explained. Dr Stafford continued to say that the benefit of using surveys like this is that we can observe how individuals change as time goes on. People in their 60s and 70s are more likely to look after their mental health and prioritise social relationships. By that time, they have worked out what makes them feel better and what does not. While people are living longer, poor health in old age is still a common concern. If you are worried about a loved one's health or well-being, a counsellor may help. Visit our What's worrying you? page for more information. How to embrace pain as your friend and guide to healing Can I get over the fear of being hurt and love again?